Maria Draucikas is a partner in the Newark office and a member of the General Liability Practice. Ms. Draucikas is an experienced litigator who focuses her practice on construction and general liability matters including products liability, material handling and heavy equipment accidents, construction defect/design litigation, construction and workplace accidents, commercial premises liability, insurance coverage disputes, and trucking and transportation accidents. 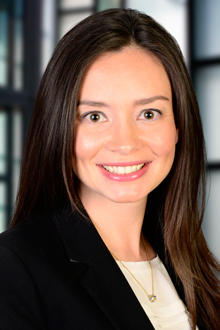 Ms. Draucikas began her career as a law clerk to the Honorable Anthony J. Graziano of the Superior Court of New Jersey for the 2005-2006 court term, and also interned for the Honorable Mark Falk, US Magistrate Judge for the District of New Jersey.